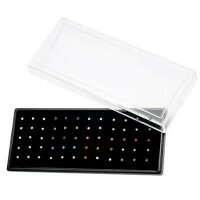 Acrylic body jewelry display box with black velvet to display 60pcs nose bone or nose screw ring. 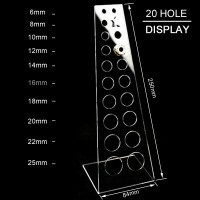 Acrylic body jewelry display with 100 laser cut L-shaped holes to display different body jewelry type, such as barbells, navel rings, fake plugs, ear studs. 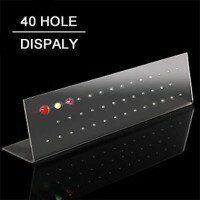 Acrylic body jewelry display with 40 holes to display different body jewelry type, such as barbells, navel rings, fake plugs, ear studs. 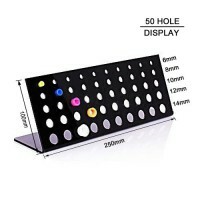 Acrylic body jewelry display with 28 holes to display different body jewelry type, such as barbells, navel rings, fake plugs, ear studs. 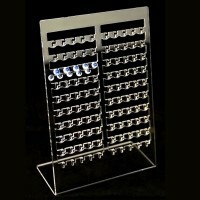 Acrylic body jewelry display with 20 holes to display 10 different sizes single, screw-off,flexible silicone flesh tunnels & plugs. 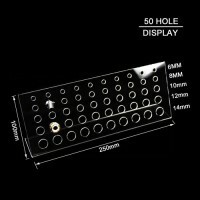 one pair of each size.Hole for size: 6mm, 8mm, 10mm, 12mm, 14mm, 16mm, 18mm, 20mm, 22mm and 25mm. 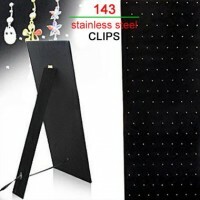 Black velvet cardoard body jewelry display with 143 stainless steel clips and an adjustable stand. 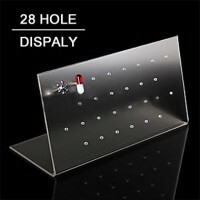 Great display for Navel belly Rings, barbells, eyebrow rings, cartilage earrings and spiral barbells. 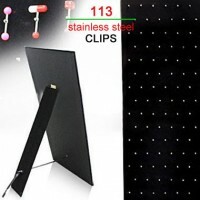 Black velvet cardoard body jewelry display with 113 stainless steel clips and an adjustable stand. Great display for Navel belly Rings, barbells, eyebrow rings, cartilage earrings and spiral barbells. 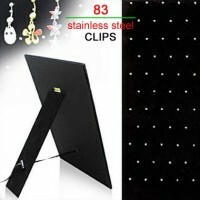 Black velvet cardoard body jewelry display with 83 stainless steel clips and an adjustable stand. Great display for Navel belly Rings, barbells, eyebrow rings, cartilage earrings and spiral barbells.